The buff-tailed coronet is a species of hummingbird from the family Trochilidea. It is found in Colombia, Ecuador, and Venezuela. Distinguishing characteristics are the short bill, glittering green coloration, and buffy color under the remiges (flight feathers) and rectrices (tail feathers). 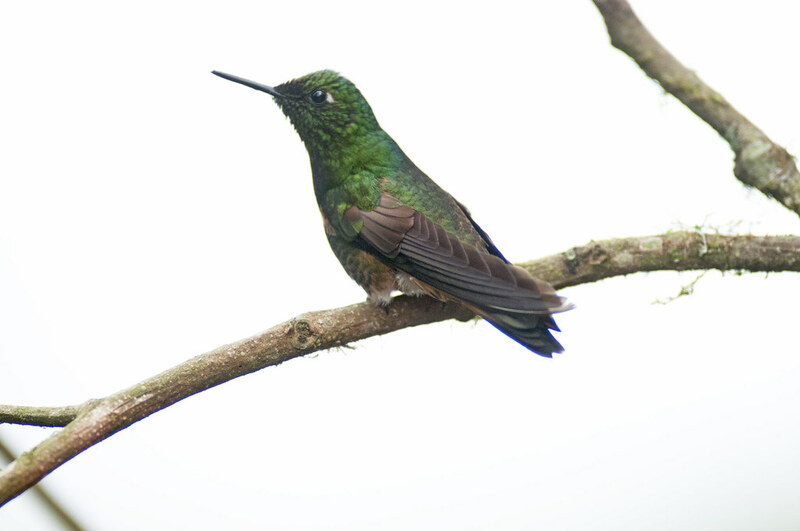 Like other hummingbirds, the buff-tailed coronet is often found in mid-level forest to canopy searching for flowers with nectar and some insects. This bird is commonly found from 1500–2400 meters above sea level. The Mindo-Nambillo Forest Reserve is a private reserve most popular among eco-travellers because of its incredible diversity of wildlife and plants.